Monday morning meant the start of a new week and only two full days left at Disney and that only gave me two days to find Mickey Mouse and have a picture with him! Today we were going to experience Disney’s Animal Kingdom Park, dinner at Disney’s Contemporary Resort and Wishes fireworks at the Magic Kingdom. As we were Disney Hotel guests, today we would get to experience one of the great benefits that this brings with it. Each day one of Disney's Parks is open for longer either in the morning or evening, this means that all Disney Hotel guests can enjoy Extra Magic Hours in selected parks before or after day visitors. This morning Disney's Animal Kingdom was open from 8am and when we got there I really was amazed at how quiet it was. We immediately went to Dinoland and were first to arrive at the Dinosaur ride. This ride takes you back in time and grips you with its secret rescue mission story which entails rescuing an Iguanadon before the meteor that wiped out the dinosaurs strikes. There were lots of screaming moments between us as we raced around in the dark, experiencing lots of bumps and jumps along the way but this was definitely more fun than scary and we even did the ride twice as the crowds had still not turned up! Top Tip: If you are staying at a Disney Hotel make the most of your Extra Magic Hours. As we left the Dinosaur ride we wandered past the most iconic photo opportunity spot in the Animal Kingdom Park – The Tree of Life! Next up was what turned out to be my favourite thrill ride of the whole trip and that was Expedition Everest and again you feel like you are completely immersed in the story which Disney just do so well. Even as you stand in the queue you enter a room filled with real equipment from previous successful expeditions and this includes as many as 8,000 artefacts brought back from Nepal. When you board the ride you will be taken through the model village of Serka Zong and then you will travel up the mountain 200ft. I don’t want to ruin the surprise for those who have never done it but I will say that Expedition Everest is completely unique as the rollercoaster travels backwards as well as forwards…The 80 foot drop out of the mountain is a real thrill moment and one that will make you want to do the ride again and again. I loved it so much I rode Expedition Everest three times! Once we had all finally had enough of Expedition Everest it was off to cool down at the Kali River Rapids. This was lots of fun as each raft holds up to 12 people which meant we could all go on together. As we all set off downstream, you just know that a big drop is coming and that the people on one side of the raft are going to be soaked but this is all just down to chance. This is a great ride to do especially if it is extremely hot! However, if you don’t fancy getting wet then remember to pack a poncho to keep yourself dry. 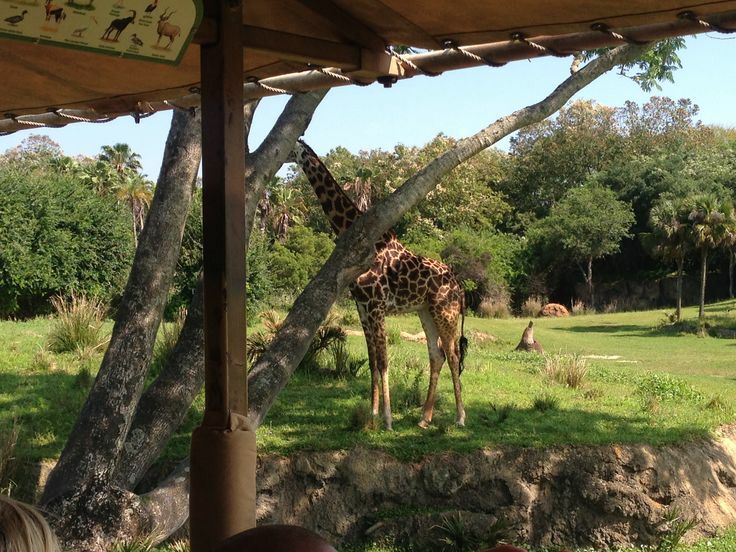 Africa was the next on the itinerary as we headed over to experience the Kilimanjaro Safari. This is an open-air vehicle ride with a guided tour which will completely transport you to a lush African savannah. There are over 34 different species available for guests to see and they say that to give yourself the best possible chance of seeing the maximum number of animals possible you should avoid going in the midday sunshine. We were really lucky as we saw such a wide variety of animals including Lions, Hippos, Giraffes and my favourite the Elephant! This was a fantastic experience and as a real animal lover my only disappointment was that I couldn’t spend longer looking at all of these amazing creatures! 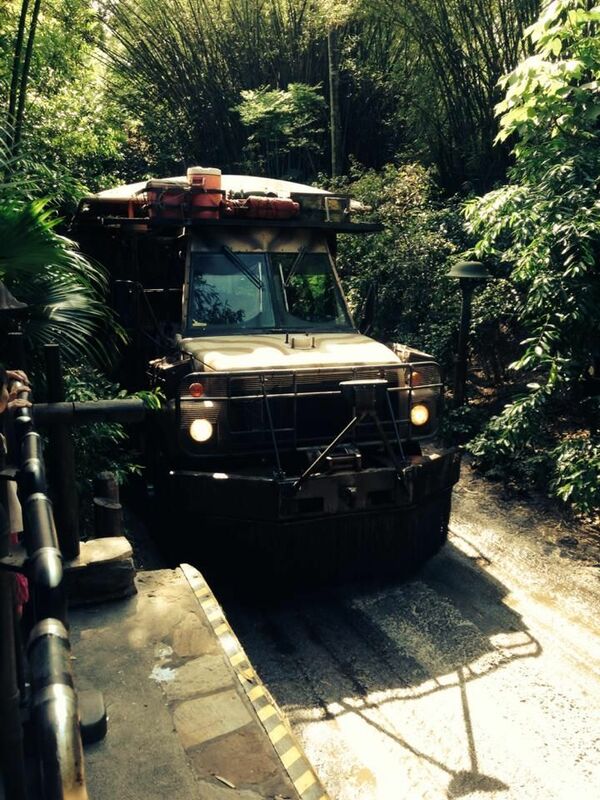 Disney actually does offer a VIP safari experience (at an additional cost) which allows guests to go on a 3 hour adventure in a private group of 12. For me the VIP safari is certainly something that I would be interested in booking if I return to Walt Disney World again. As our time in Disney's Animal Kingdom Park was coming to a close it was time to fit in one more attraction and we picked ‘It’s tough to be a bug!’ This is a 3D film and live show which has been inspired by the Disney Pixar film, A Bug’s Life. This show is suitable and entertaining for all ages and you will spend your time dodging flying quills from a tarantula, feeling harmless ‘acid spray’ from a solider termite and smelling the ‘defence stench’ from a sting bug. This is a really amusing show and is definitely worth a visit if the queues aren’t too big. The rest of the afternoon was spent chilling out at the Yacht and Beach Club and experiencing all of its great amenities’ including what is said to be the best hotel pool at Walt Disney World! As evening approached it was time to get dressed up to go out for dinner at The Wave of American Flavours in Disney’s Contemporary Resort. 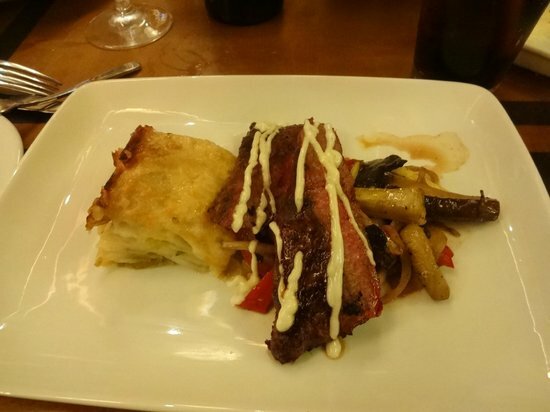 Unfortunately I ordered the steak which was not a good choice (overcooked and tough) which left me with serious food envy. The most popular dish ordered at our table was the seafood pasta and it went down exceptionally well…I would like the chance to return and order something else so that my mind can be changed on this restaurant. After dinner it was time to experience 'Wishes' fireworks display over Magic Kingdom. I was bursting with excitement about witnessing this for the first time, especially as I had heard it was so touching that it had reduced other guests to tears. We jumped on the monorail from the Disney’s Contemporary Resort and Laura (our Disney host) told us to get off at the Disney’s Floridian Resort. I had no idea where we were going to watch the display at this point but I was delighted that we got to walk through the Grand Floridian as this is Disney’s Flagship hotel and even the lobby oozes luxury and elegance…I can only dream about getting to stay here one day! 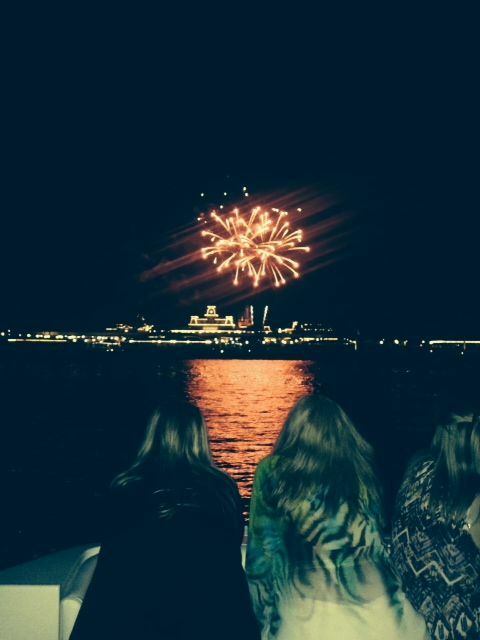 We were all escorted down to the Grand Floridian's marina and suddenly Laura announces to the group that our big surprise of the evening was going to be watching 'Wishes' from the Seven Seas Lagoon on board the Grand 1 Yacht! We were all so excited and after jumping up and down for a few minutes and hugging we jumped on board and sailed away to what felt like a once-in-a-lifetime experience. It was now time for the main event –'Wishes!' The Electric Water Pageant was a great warm up act…but by this point I could bearly contain my excitement. From the moment the night time spectacular began I don’t think any of us spoke a word as we were all completely captivated bythe performance. Jimmy Cricket is your host throughout the display, however you will also hear from some of your other favourite Disney characters including Cinderella, Snow White, Ariel, Peter Pan, Pinocchio and Aladdin along the way. The whole show is beautifully choreographed and after the whole performance is over you can't help but believe that all your wishes really do come true! I can't recommend this show enough and so even if you only have one night at Walt Disney World, make time for Wishes...you won't regret it! Although it didn’t make me cry, it was a truly unforgettable end to another perfect day at Walt Disney World.